It is pretty tiring walking around Colombo in the heat, and the tuk-tuks are EVERYWHERE and real easy to find! They are the main transportation for both locals and tourists, and they are also a lot of fun. 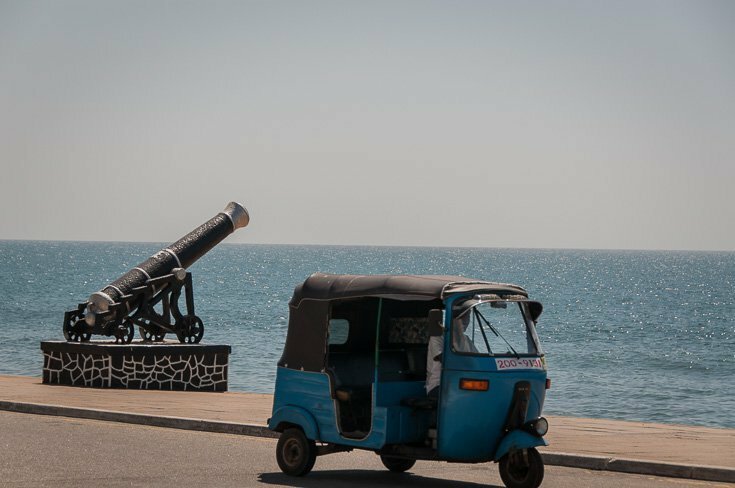 Wherever you walk in Colombo, tuk-tuks will stop by you and the driver will ask you if you want a lift, not one time but like ALL the time! And if you don`t answer (yeah, it is possible to get a bit fed up with this), they will ask you again just louder.We ended up taking tuk-tuk most places we went in Colombo. Riding a tuk-tuk is great fun, especially after dark!